Some book bloggers complain how they only managed to read seventy books this year, rather than their usual one hundred. I read thirty-nine, which is still more than I have managed the last few years. I’m the tortoise of book bloggers. Most of my reading has been related to biography and/or Katharine Susannah Prichard (the subject of my PhD), and it’s harder to judge these books which I have to read in a somewhat task-orientated way. But I had such a delightful year of books. It brings me pleasure remembering the highlights. 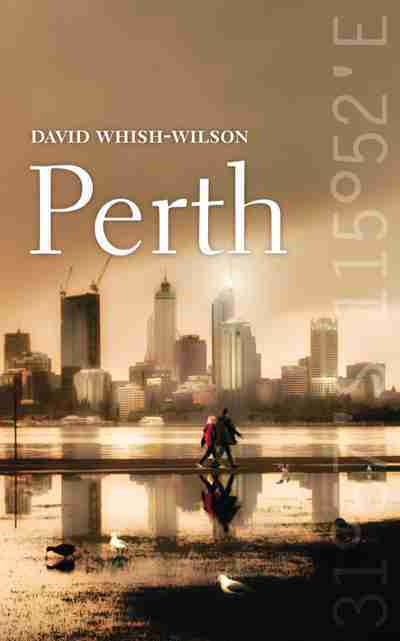 Perth / David Whish-Wilson – A portrait of the city. The best work of creative non-fiction I’ve read, a blend of memoir, history, biography, and landscape writing. My review. Wild Oats of Han / Katharine Susannah Prichard – I’ve read eleven books by Prichard this year, and they fit together as a body of work. But let me pick this one out as probably her most under-rated work, a delightful evocation of childhood as free-spirited Han comes to grips with the world. It’s the most distinct of her books, and it possibly suffered from being marketed as a children’s book, when it is not really. My review. – Had to see what the Man Booker judges were so impressed by; I was impressed too. My review. Lila / Marilynne Robinson – A worthy companion novel to the other two set in Gilead. It is wise and hopeful while aware of the hardness of life in telling of one woman’s redemption. My review. Christina Stead: A Biography / Hazel Rowley – I hope to write a biography with some of the brilliance of this one, to balance historical and psychological insight with beautiful writing. My review. Unearthed / Tracy Ryan – Reading through these poems a second time, I was struck afresh by their power. My review. – A non-fiction biographical quest, so superbly written. My review. The Invisible Woman / Claire Tomalin – unearthing the hidden story of Dickens’ mistress, Nelly Ternan. Claire Tomalin is my favourite biographer. – I couldn’t put down this memoir in which Carey writes to family friend Randolph Stow just before he dies and uncovers lost stories of her family. My review. Honourable mentions: A Wrong Turn at the Office of Unmade Lists / Jane Briony Rawson (my review); Reading by Moonlight: How Books Saved a Life / Brenda Walker; Secret River / Kate Grenville.